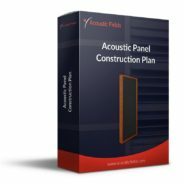 Today we’re going to talk about the top 5 church acoustic treatment options you really need to consider when you’re treating your church. Let’s start out with a few definitions because that’s going to help you go a long way through this treatment process, and it is a process. Let’s define the two areas that we have to deal with in a church. We have speech, you have the spoken word and we have music, we have choirs, we have bands playing today. So we have a combination of music and speech, both of these acoustically couldn’t be more different but we have them in the same room. Usually when we’re in recording studios we have separate rooms for music, we have separate rooms for speech. We don’t have that option in churches. We have speech and music in the same room. So how are we going to treat those? Well we’re not going to treat them both successfully so we have to treat one and then work with the other one. So when we’re dealing with speech and music in large rooms, it’s all about reverberation. Reverberation is a series of reflections off the surfaces of the room, creates a lot of energy in the room and then reverberation time management or RT60-time management is how long it takes for those reverberation and that energy to decay. 60 dB that’s the figure that we use. So how are we going to do that? Well we must treat for our music first because music has the most energy over the spoken word. So we want to treat for the musical side of the church presentation first and that is why we have to lower the reverberation time. How do we lower the reverberation time? We have to use surface area. I’ve done this in a lot of churches. I go into the church and they say “Well what’s our problem?” and then I tell them what their problem is. “Okay what do we need to do?” and I say “Well you need to treat this wall, this wall, this wall and this wall” and they go “That’s the whole church” and I say “That’s the whole idea because all the surfaces are contributing to the problem”. So you must use a lot of space. A good general rule is 50 to 70 percent of the surface area of available spaces. A lot of churches simply don’t want to do that. 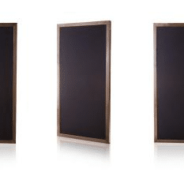 So you’re not going to be able to manage the reverberation times adequately as you need a lot of surface area and you need the right kind of treatment applied to that surface area. What we do for our clients is we break the issues into sections and then we treat each section. We’re doing a church right now in Phoenix. We’re going to work with the ceiling and the sidewalls first and then we’re going to deal with the pressure areas around the stage where the live band and musicians are. We have amplified music, we have subwoofers, we have all kinds of energy but their main thing right now is the reverberation time management so we’re going to break the project into parts and do each part. 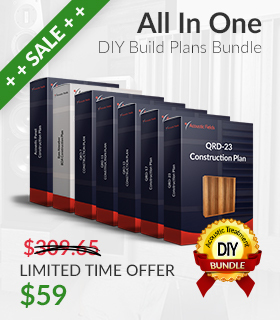 Want to save on labor costs? Now another thing we can do to save effort and save labor cost is to have church members do the labor. There’s not a church I have ever been to where there’s not at least some church members that are carpenters or have wood skills, wood building skills and they’re always happy to contribute to the labor side of it. 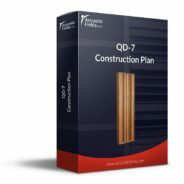 So you can buy the materials, make sure you have a consultant tell you what kind of materials you need and how to arrange them on the surface and you can have church members build it and save you lots on labor costs. The materials costs are not that great, the material itself to control reverberation times are not that expensive. You just need a lot of it and it has to be positioned correctly and you can cut your costs by using some church members to help you with that. So speech and music are the two areas that we have to focus on in church. Let’s treat for music, speech will fall in to place, have to have a little help from the engineers in the front of the house but we’ll talk about that in another video. Basically we turn down a little bit on the music and turn up a little bit on the speech once we get it treated. But those are the areas that we need to look at and we need to work with when you’re dealing with church acoustics. 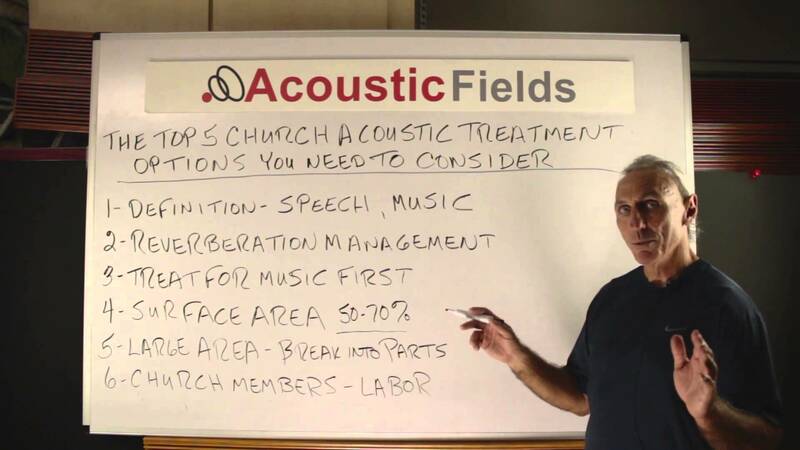 So I hope this explanation on church acoustic treatment options has helped you. If you have any questions at any time I am always on hand to help answer them. Leave them in the comments section or email me at info@acousticfields.com. If you would like to learn more about room acoustics please sign up for my free videos and ebook by joining the mailing list here. I send room tuning tips and things for you to test in your room every Wednesday. They are easy to follow and really help you enjoy more of your music. And if you would like your church acoustic issues analysed for free by me then please fill in the form here and I will be happy to take a look for you. ← What’s the ideal placement for sub woofers in a room?